How do I login to my hosting control panel / cPanel? Have a large number of email accounts or email forwarders to manage. And/or you have an unmanaged hosting account (i.e. where you have full technical control). To login to your control panel, go to https://mycpanel.primaryimage.uk, and enter the username and password we have provided you. 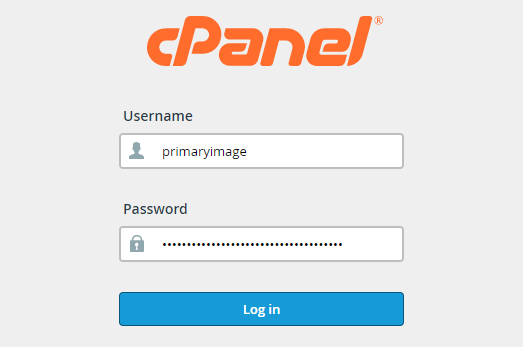 We use the industry-standard cPanel software. The features will vary for different types of account, but you typically will see options to manage your email accounts and forwarders, manage your FTP and MySQL accounts, a backup/restore facility, and real-time server usage stats. What if I can’t access the control panel? If you can’t access the control panel login page (e.g. you see a link that says “If you are not behind a firewall that blocks port 2083” and clicking this doesn’t work, or you get redirected to our home page), it probably means your corporate IT network is blocking access. We recommend asking your IT team to give you access to this page. I want to move my website to Primary Image. What details do you need? How reliable is your website hosting? What's your support policy for WordPress plugins? What do your domain name registration/renewal fees include?